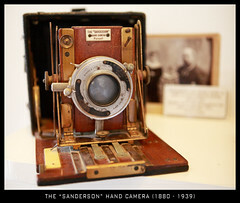 F. H. Sanderson was a cabinetmaker who was interested in architecture photography. 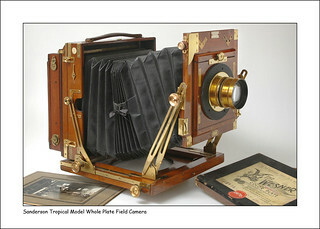 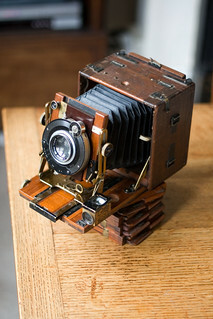 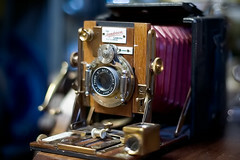 He developed a bellows camera with variably movable lensboard. 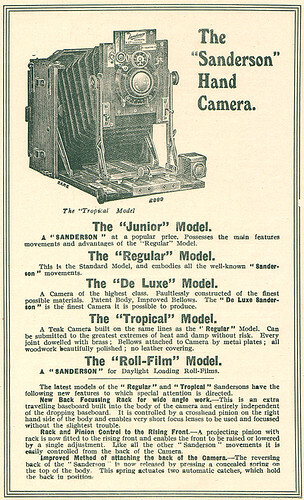 In 1895 he got a patent on that principle and let the Holmes Bros. company make the cameras. 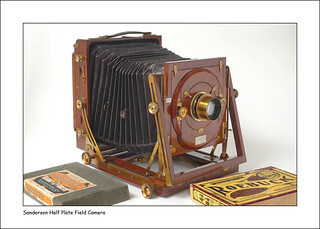 These were the first highly flexible modern view cameras. 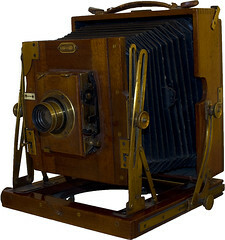 This page was last edited on 28 May 2018, at 15:41.